Krafting Kreations: Hearts a Flutter Friday Mashup 91! 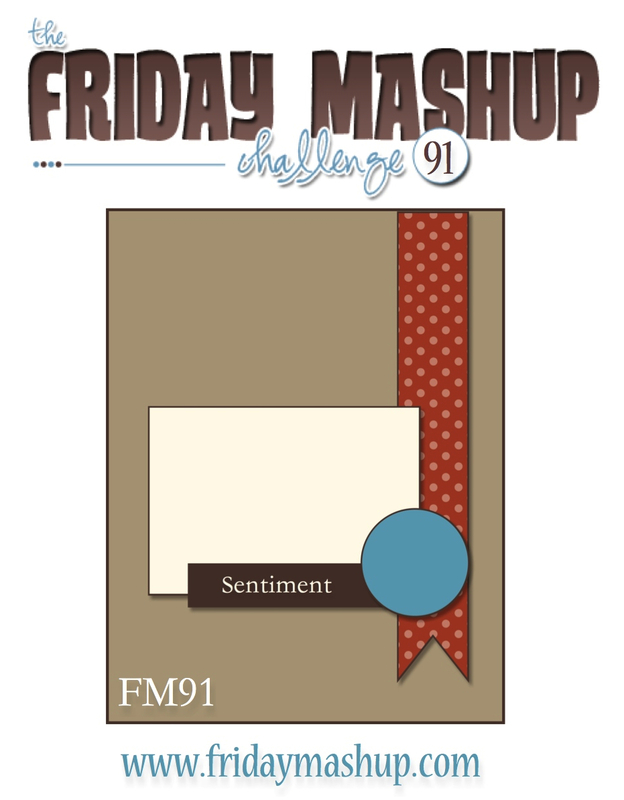 Are you ready for another Friday Mashup challenge? This one is actually on time! So I got some of my pre-order goodies in before Christmas but didn’t really have a chance to play with them until last week. So… here is my card for this challenge! Or Make a project featuring "Hearts". Or "Mash it Up" and create a project using the "Sketch and Hearts". I started off with a piece of Pool Party card stock cut at 5-1/2” x 8-1/2” and scored at 4-1/4”. Next I cut the narrow strip of DSp 3/4” x 5-1/4” and used Paper Snips to cut the dove-tail in one end. I adhered this onto the right side of the card front. Next I cut the heart pattern DSP at 2” x 3” and adhered this onto the card front. For the greeting I used a scrap of Very Vanilla card stock that was 1/2” x 3” and stamped the greeting from Sweet Essentials in Real Red ink. I adhered this onto the card front just below and to the left of the hearts DSP with Stampin’ Dimensionals. Now for the heart! I stamped the scalloped heart from Hearts a Flutter onto a scrap of Pool Party card stock in Pool Party ink, then ran it through the Big shot with the coordinating Hearts a Flutter Framelit to cut it out. 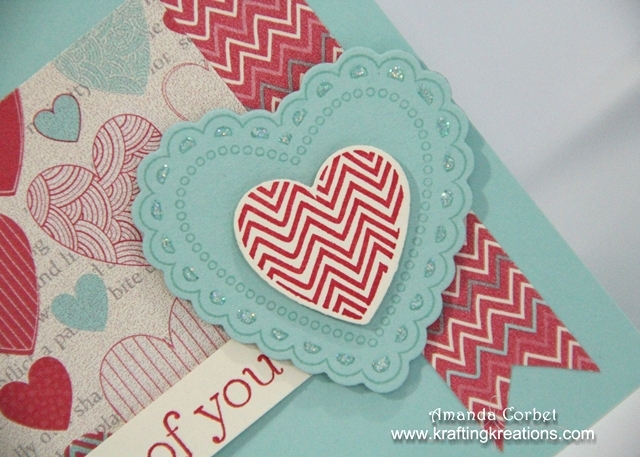 I stamped the chevron heart onto a scrap of Very Vanilla card stock in Real Red ink and cut it out in the Big Shot with the Coordinating framelit. I adhered the chevron heart onto the Pool Party heart with a Stampin’ Dimension, then adhered the heart onto the card front with another Stampin’ Dimensional. Just because almost any card I create has to have a little bit of sparkle, I added some Dazzling Details onto the lace openings in scallops of the stamped heart! I love it! Sorry the photo is a tiny bit blurry, I’m still learning my DSLR camera and how to work with the new lens I got for Christmas! Now I have a wintry card to send out to someone special! If you have a chance head on over to the Friday Mashup to see what the rest of the design team has created!